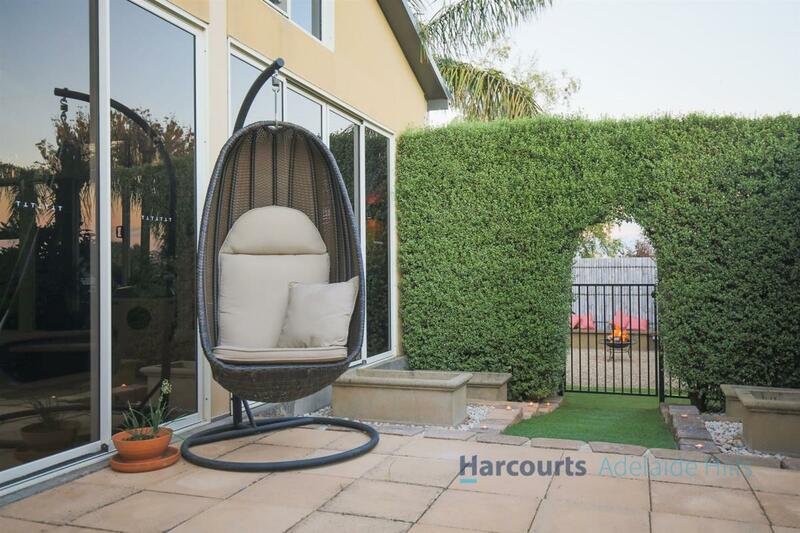 Nothing short of excellence and conceptualised for a relaxed family lifestyle, this spectacular home is the ultimate entertainer with added lifestyle benefits. 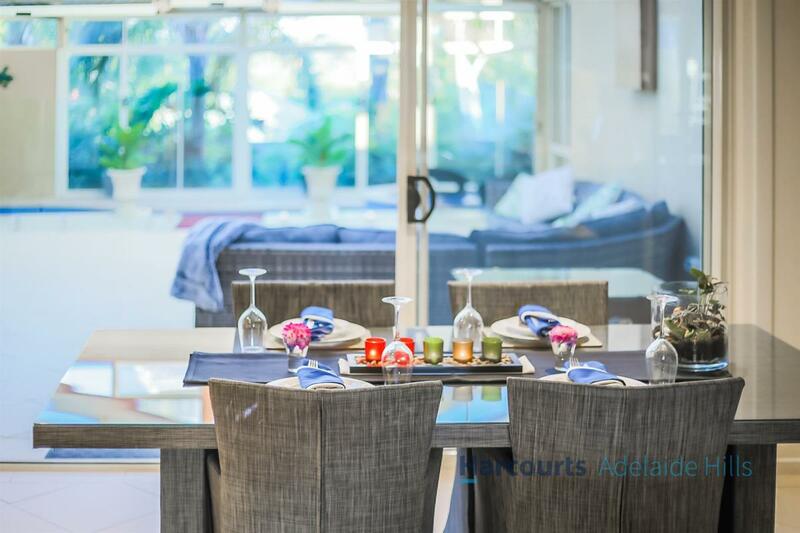 You'll have no trouble settling into the amazing lifestyle on offer where every day will feel like a holiday. 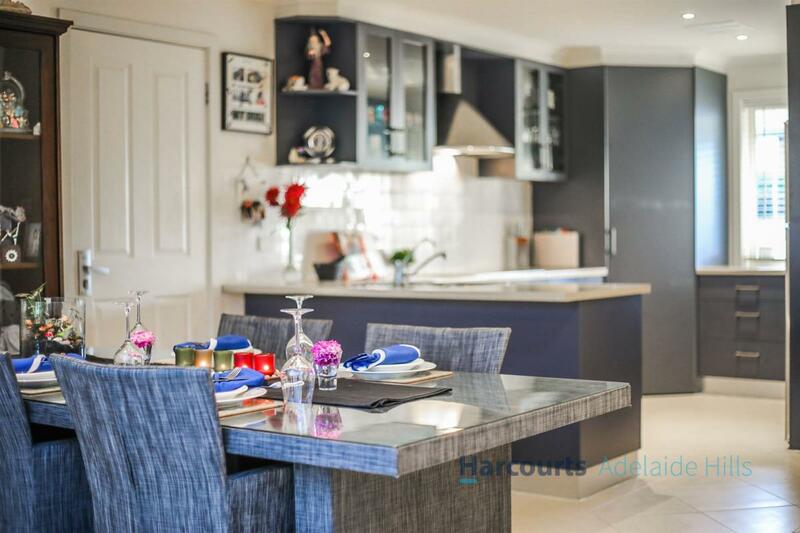 This magnificent single level home will inspire and delight from the moment you step inside with bright, light-soaked interiors, stylish modern appointments and attractive finishes enhanced by dazzling downlights throughout. 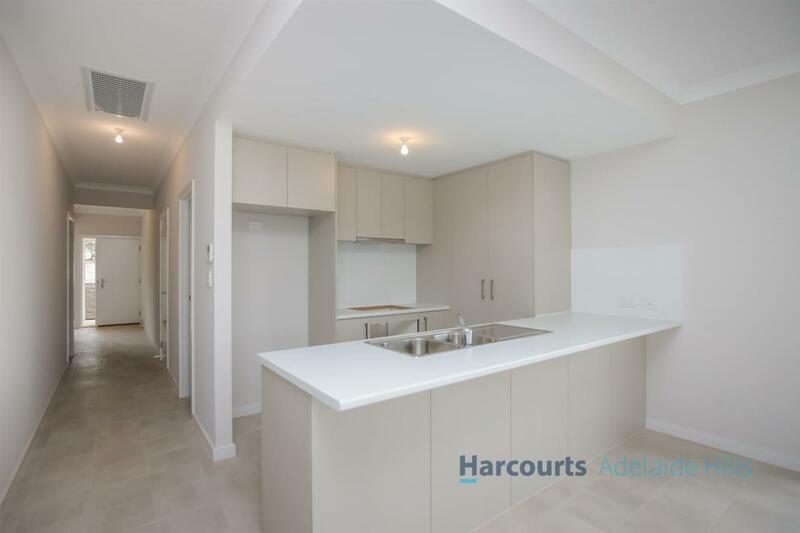 Generously proportioned and opening into a sleek styled interior, the home comprises an open plan living and dining zone serviced by a well-appointed, modern designer kitchen featuring quality stainless steel appliances with an abundance of cupboard space plus a generous pantry. 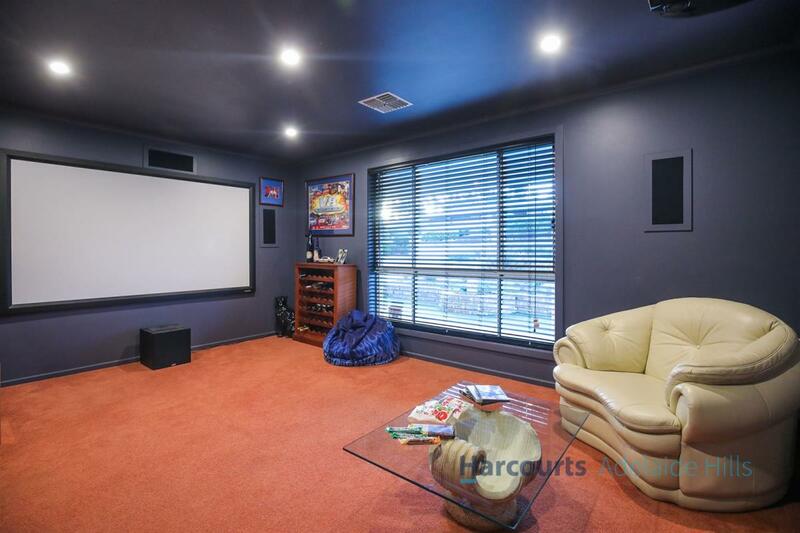 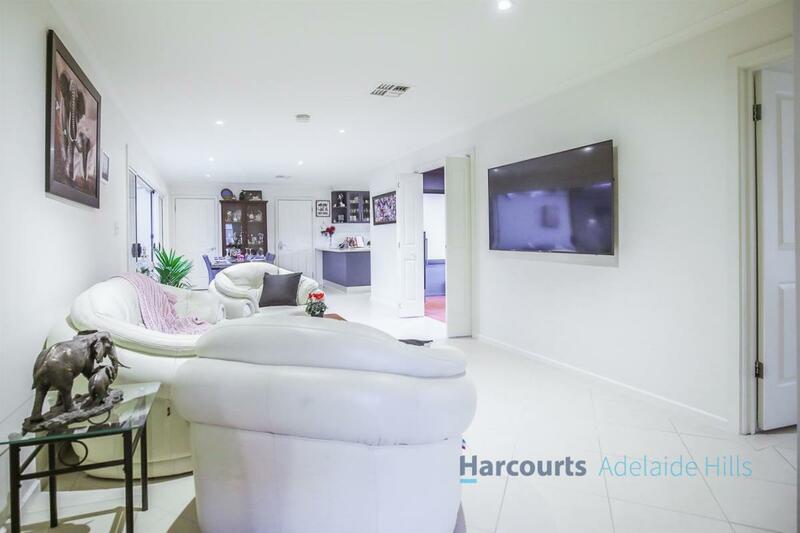 Adjoining the living and dining zone, you'll feel like you're at the movies in your own fabulous home theatre, well fitted out with a 110 inch screen, projector and quality sound system. 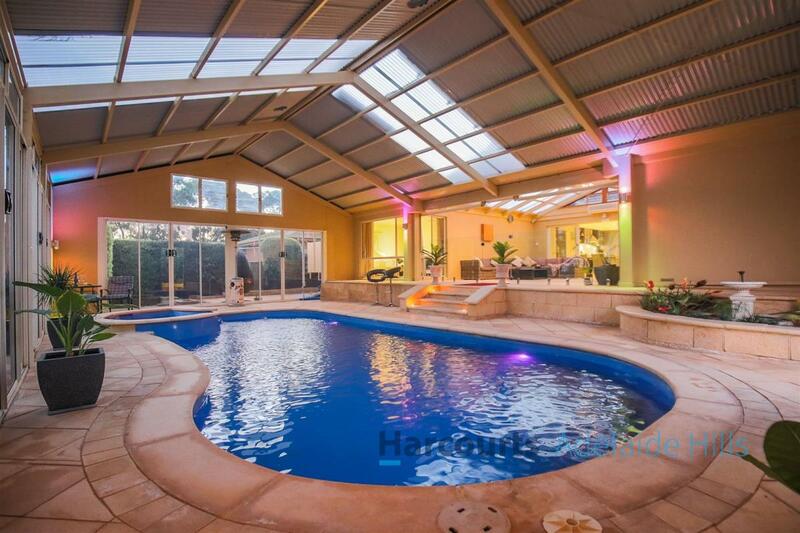 Further entertaining options transition seamlessly to a fully enclosed resort-style entertaining area cleverly equipped with Bose speakers, BBQ area fitted with rangehood and a show-stopping, solar and gas heated indoor pool and spa. 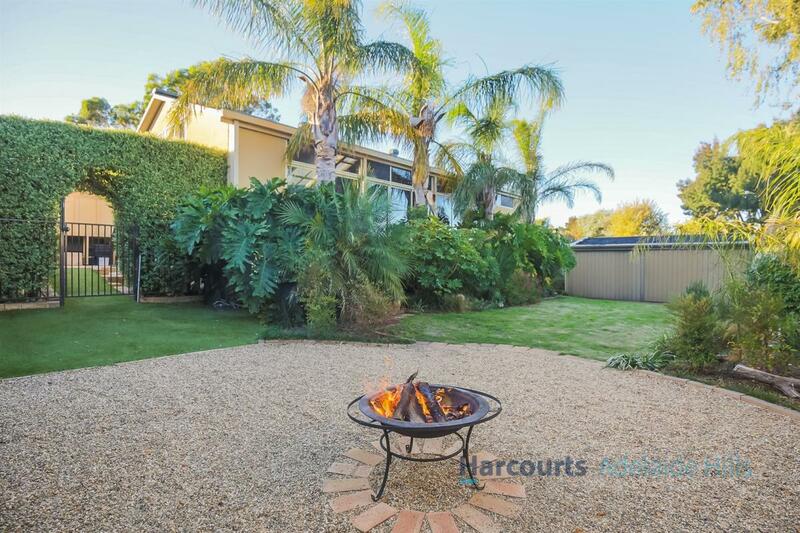 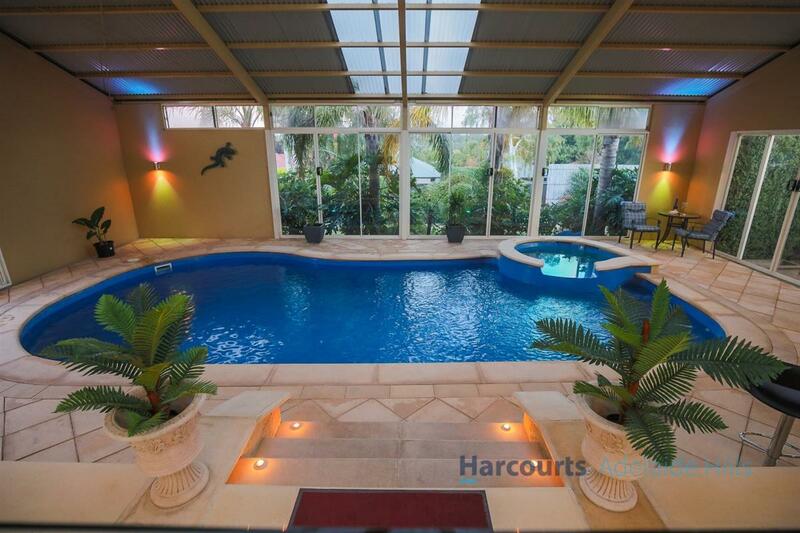 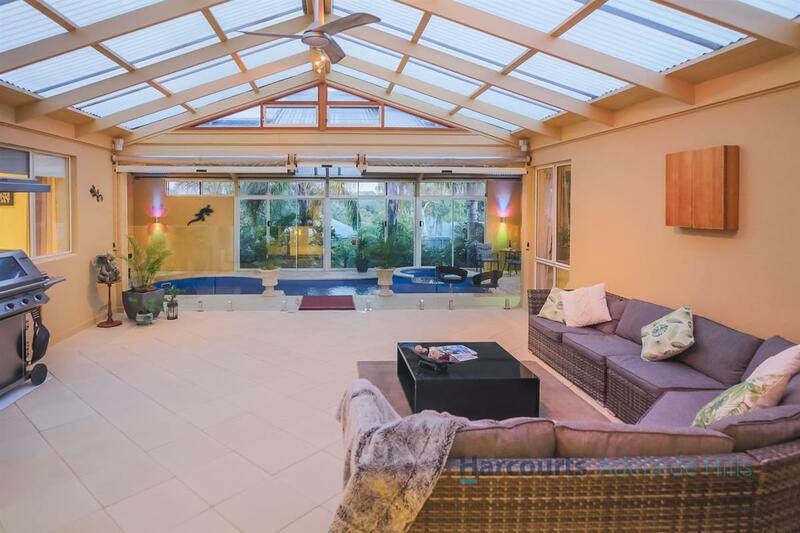 Designed for year-round entertaining and enjoyment, the area is secure with glass pool fencing and features sandstone style paving, indoor gardens and a stunning pitched roof and glass doors and windows to bring in natural light and views of the lush, tropical oasis of ferns and palms. 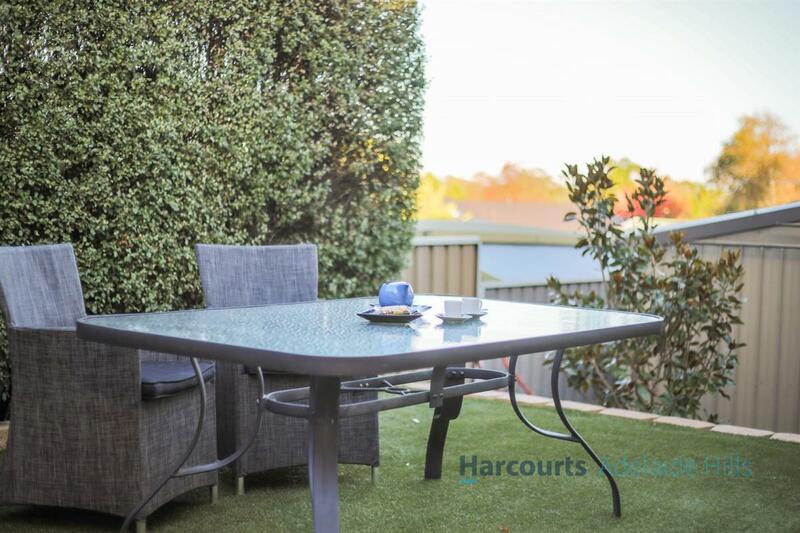 An additional sitting area with an ideal space for a firepit is also found outdoors in the rear garden surrounded by lawn areas, leafy gardens and a beautiful hedge wall dividing another paved outdoor area, perfect for relaxing and soaking up the sun. 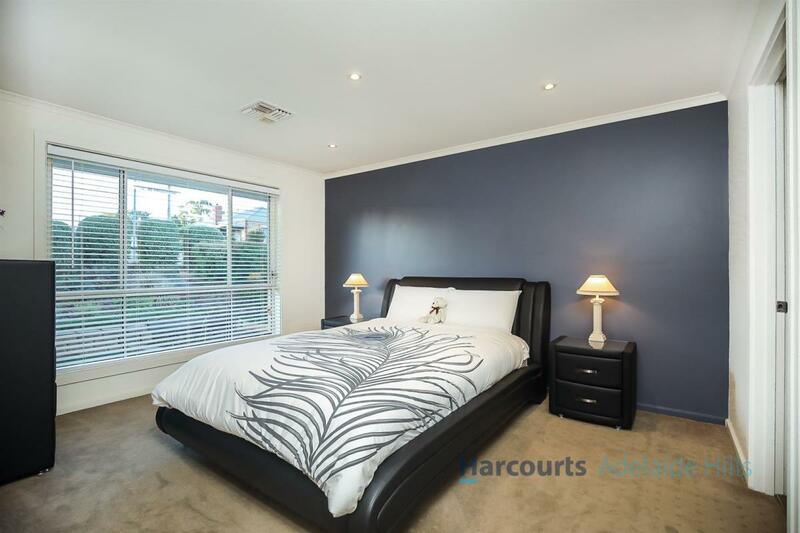 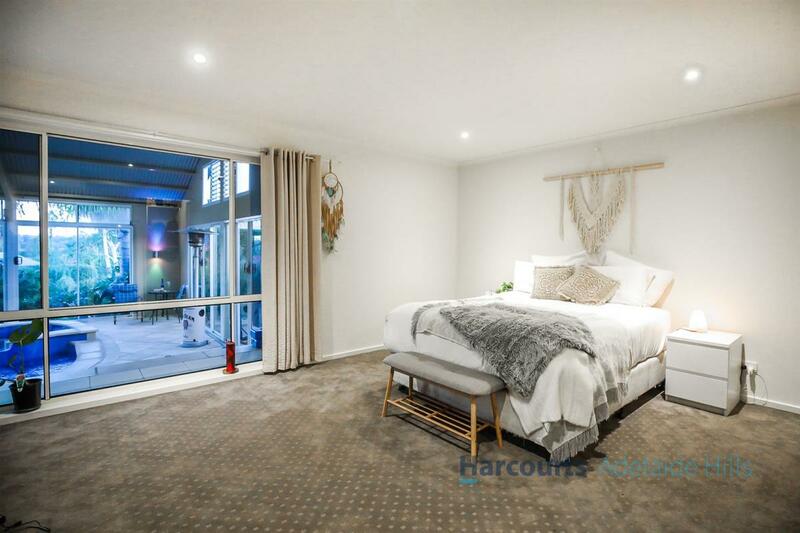 Sleeping arrangements see a luxurious master bedroom privately zoned at the rear of the home with views of the pool and boasting a walk-in robe plus ensuite with floor to ceiling tiles. 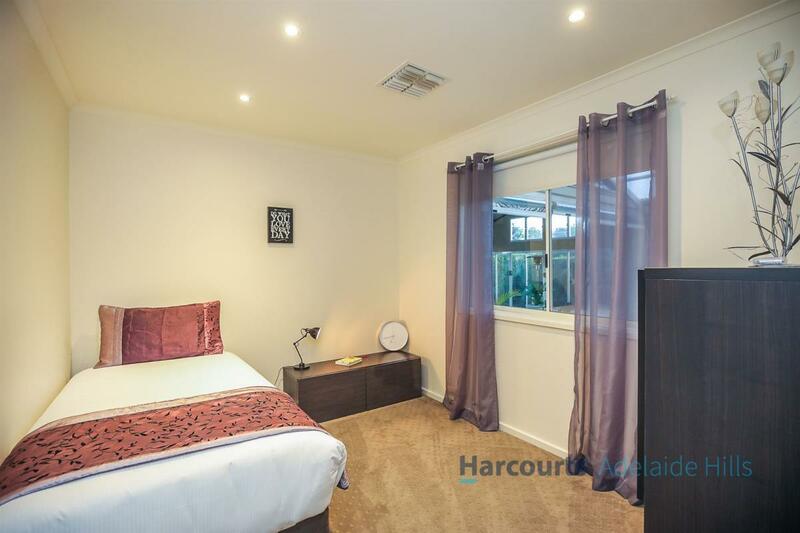 Three additional bedrooms plus a study / 5th bedroom are zoned on the opposite side of the home with bedroom 2 also boasting a walk-in robe and ensuite while bedroom 3 enjoys a built-in robe and direct access to the family bathroom. 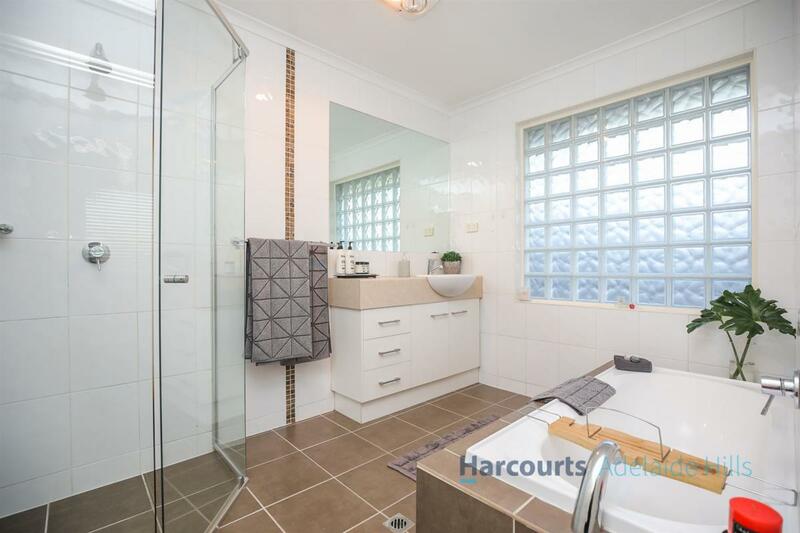 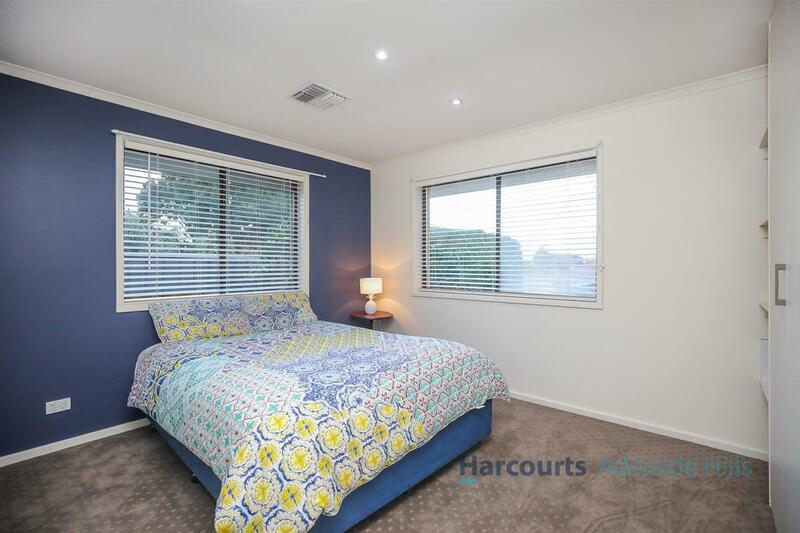 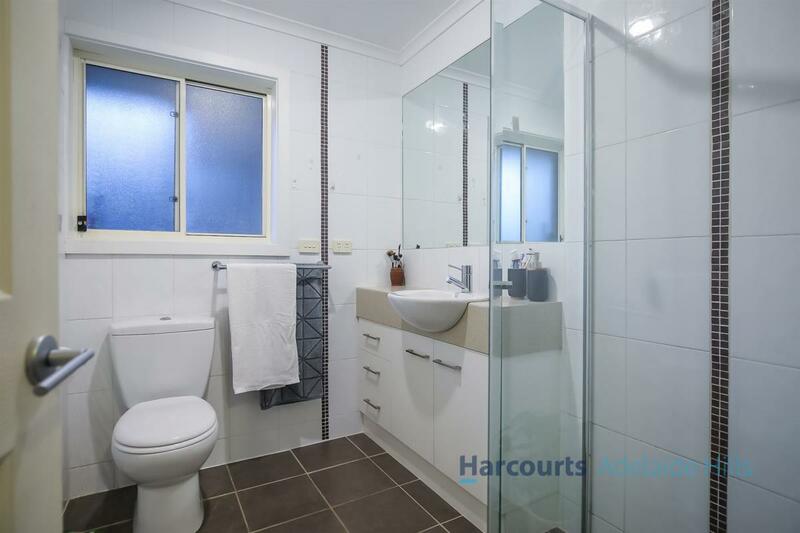 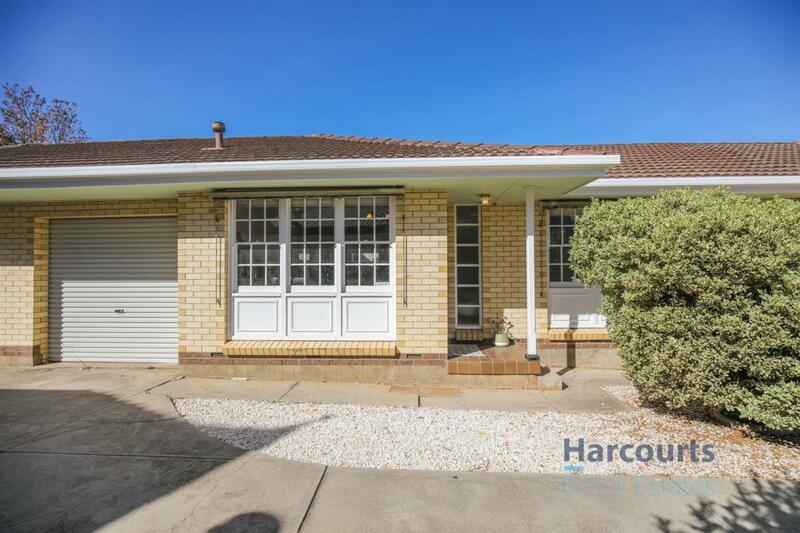 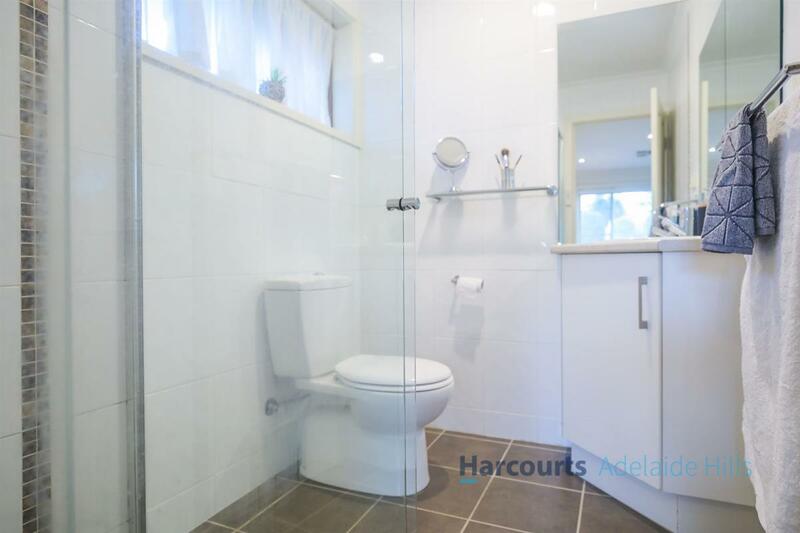 Bright, modern and centrally located to service the home, a family bathroom features floor to ceiling tiles, separate bath and shower plus a separate toilet. 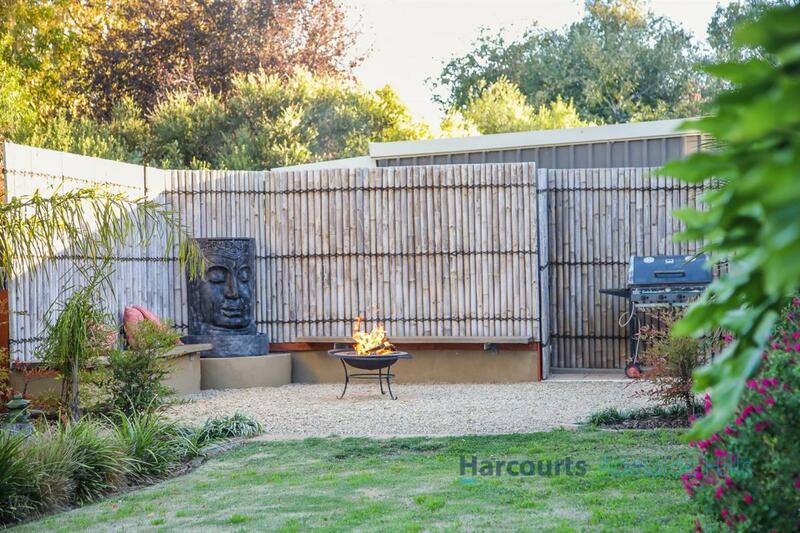 No stone has been left unturned in creating this exquisite home full of modern appointments with the inclusion of ducted reverse cycle air conditioning throughout, solar hot water, solar panels, 4 car garage under the main roof with automatic panel door and direct access to the home plus a rear door for access to the garden, an additional shed with concrete floor and power, vegetable garden, rain water plus mains water. 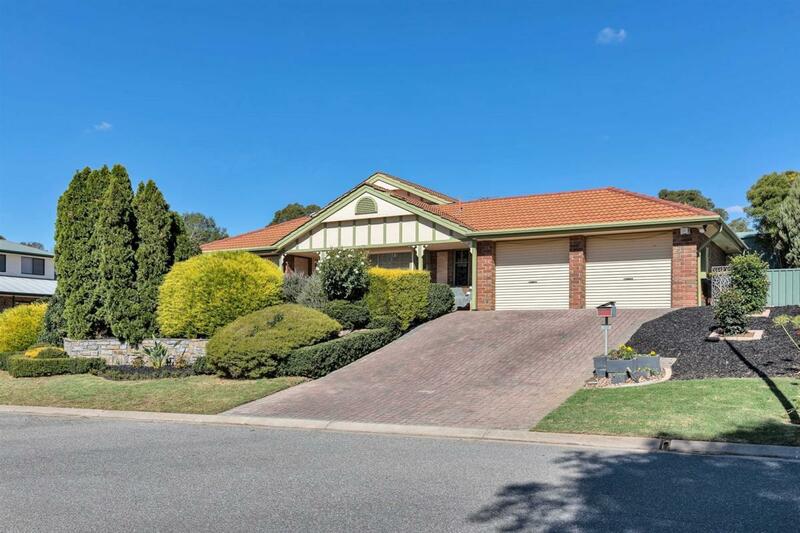 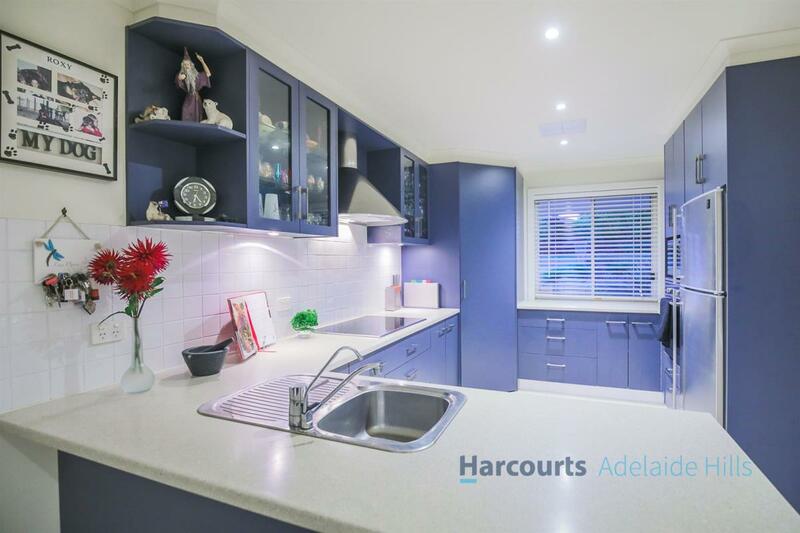 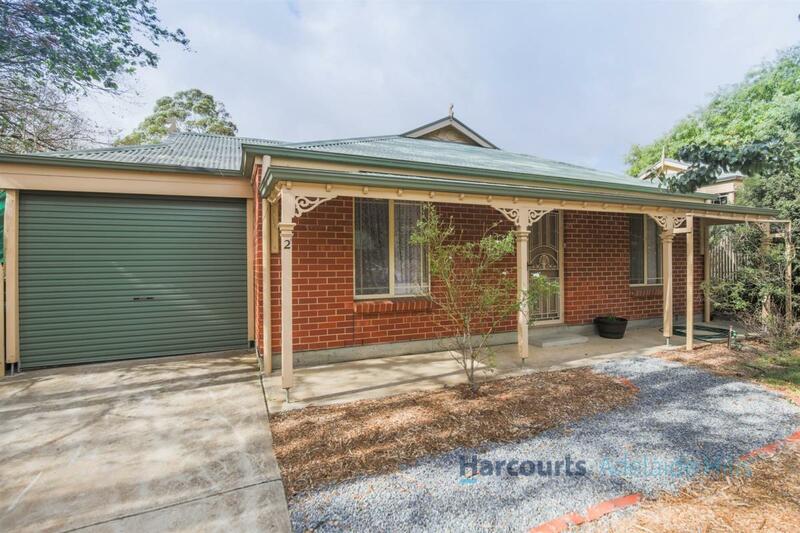 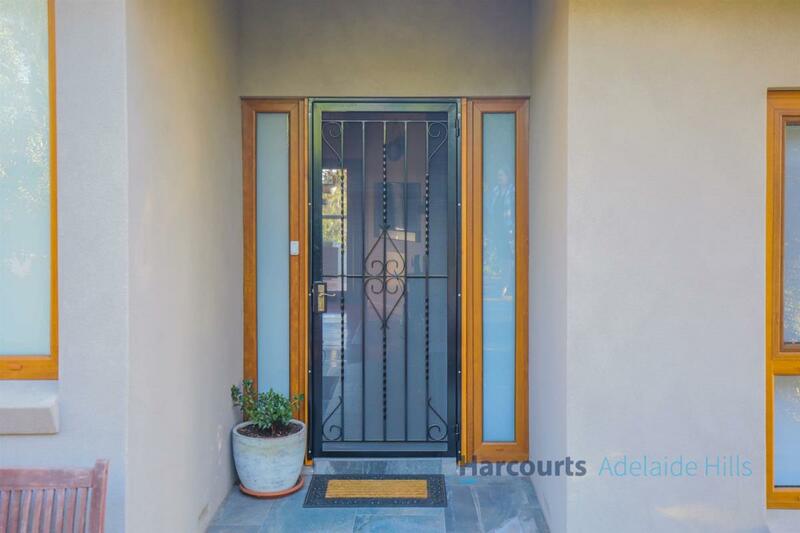 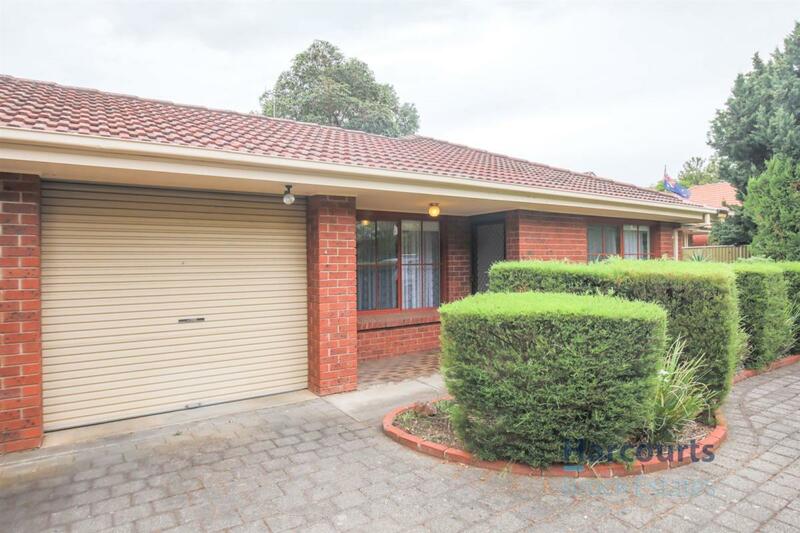 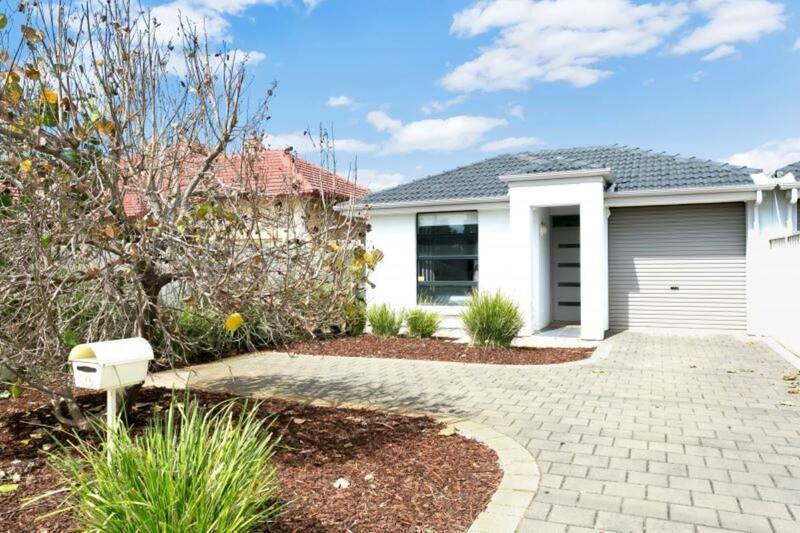 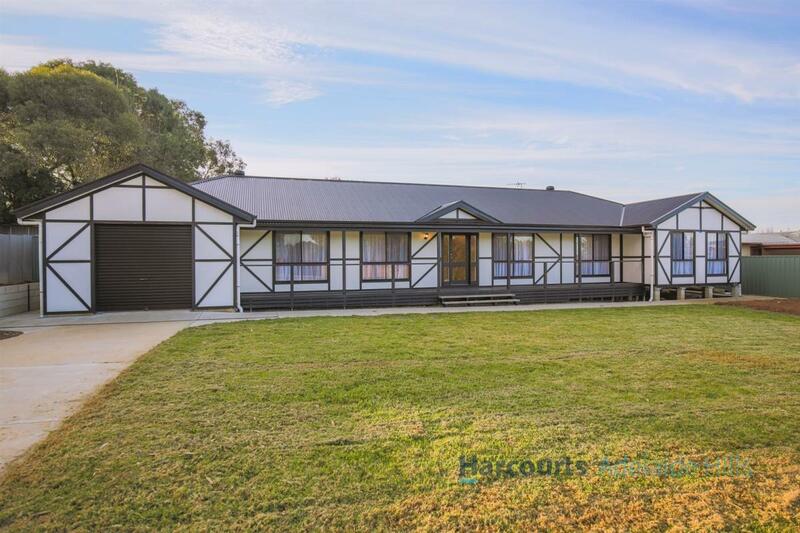 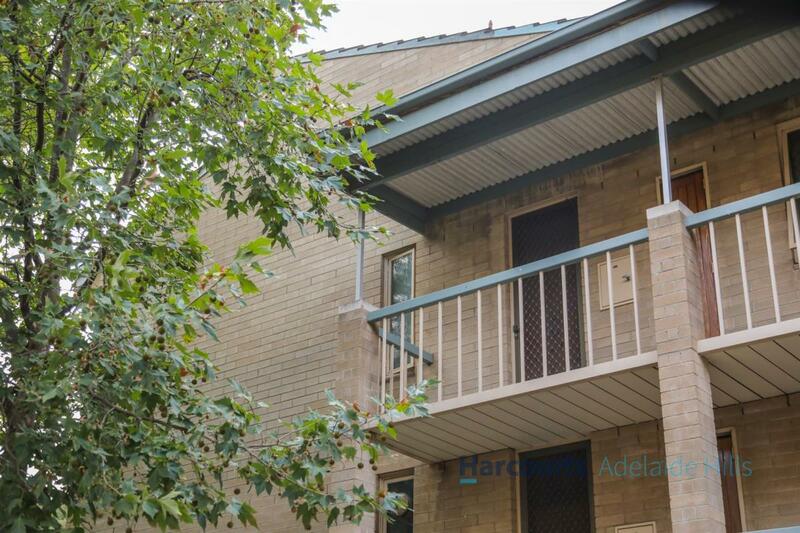 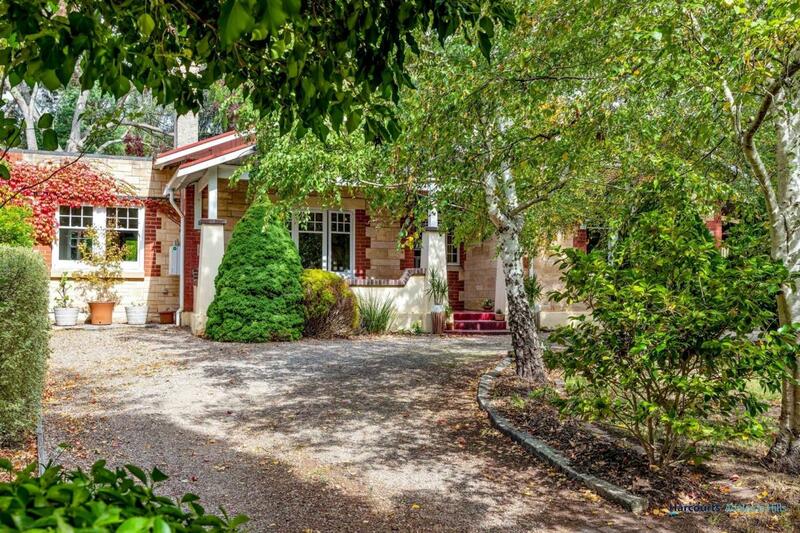 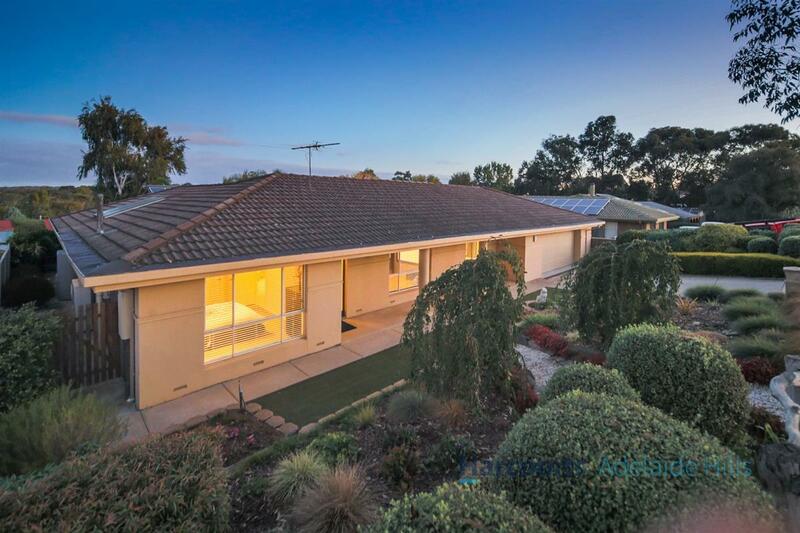 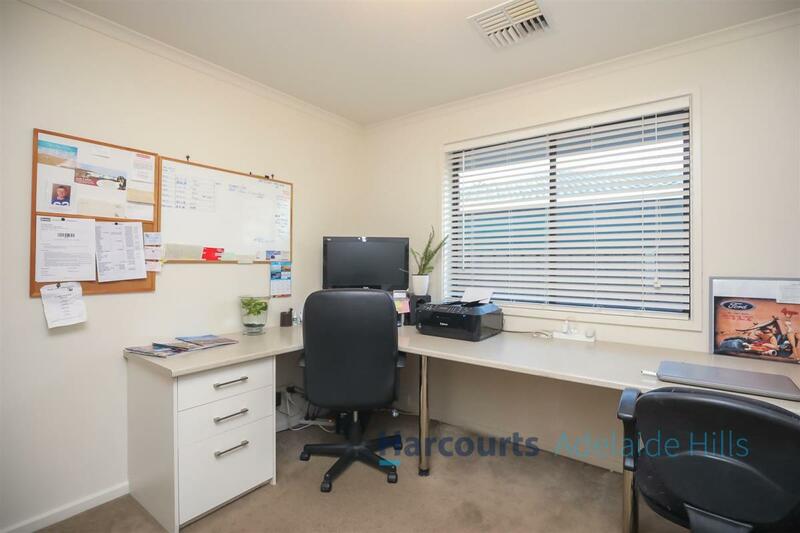 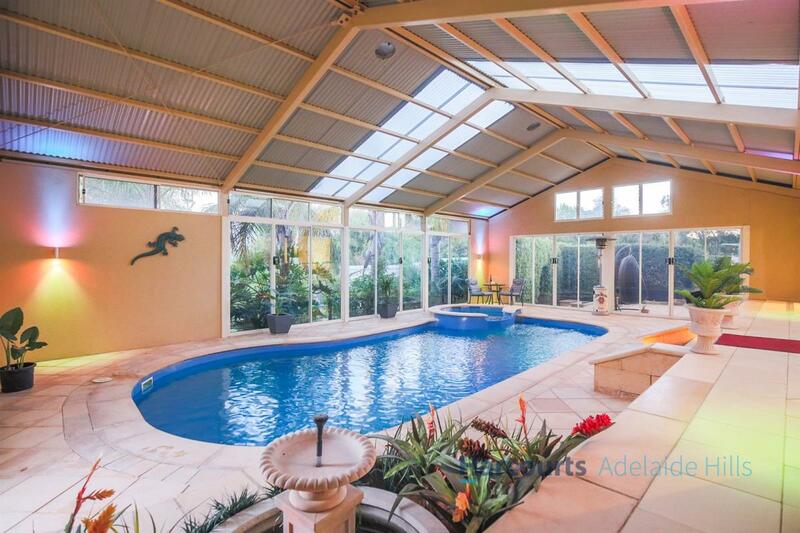 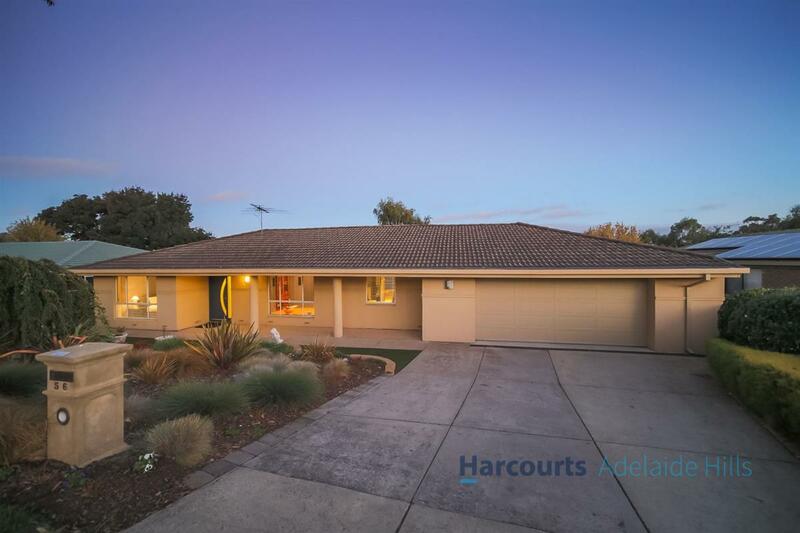 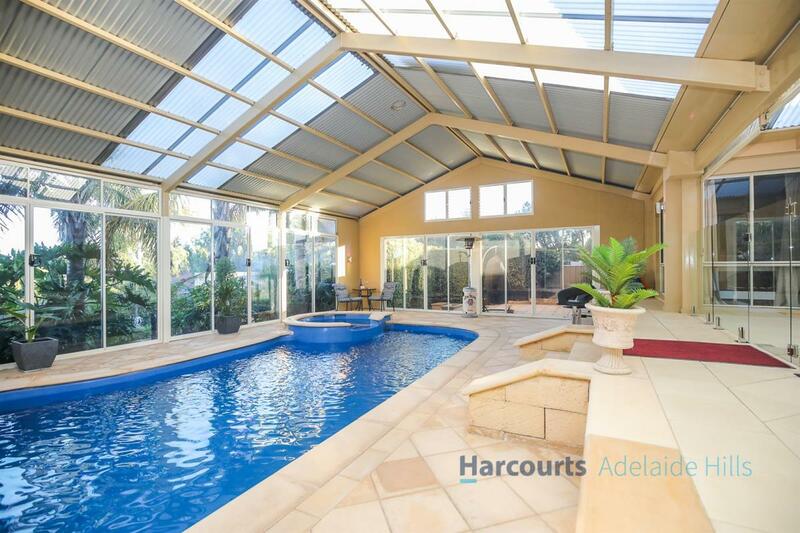 Located in the heart of the Adelaide Hills, this fabulous address is perfect for those who want everything at their fingertips with Mount Barker's shopping, dining and entertainment precincts all within walking distance, nearby parks and schools, transport and only minutes to freeway access.